Home Events Sholay 3D to be released on Amitabh Bachchan’s birthday? Sholay 3D to be released on Amitabh Bachchan’s birthday? Bollywood’s classic blockbuster movie ‘Sholay’ – which starred Amitabh Bachchan, Dharmendra and Hema Malini – made history in terms of box office collections. Now, makers of the movie are all set to release a 3D version of the 1975 classic hit, which is expected to be debut on superstar Amitabh Bachchan’s 71st birthday on October 11, 2013. The movie became popular due to its famous friendship bond between characters Jai and Veeru, played by Amitabh and Dharmendra, respectively. Sources familiar with the development said that the release date was specifically chosen so that it coincides with the birthday of Mr. Bachchan. 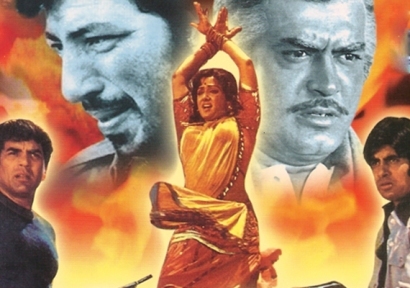 The movie ‘Sholay 3D’ will be distributed by producer Jayantilal Gada. The movie also had veteran actress and dancer Hema Malini, who played the role of Basanti, the love interest of Dharmendra. The role of villain was played by actor Amjad Khan, who starred as Gabbar. Other actors in the movie included Jaya Bachchan, Sanjeev Kumar, Sachin Pilgaonkar and AK Hangal, who were also playing important roles. The original movie was directed by Ramesh Sippy and was produced by his father, G P Sippy. The movie followed a story of two criminals – Jai and Veeru – who were hired by a retired police officer to capture Gabbar.